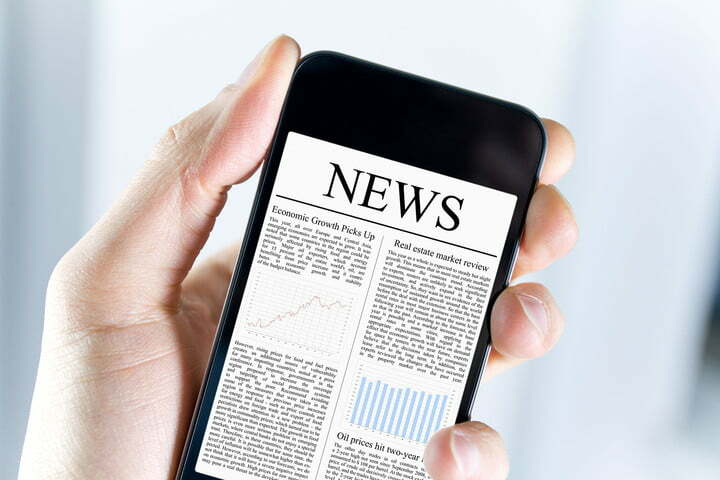 Getting access to the news you care about used to involve some work, but with the advent of the smartphone, there are a million and one ways to keep abreast of even the most obscure of news sources. That’s a good thing and a bad thing, and if you’re looking to finetune your exposure, a news app is a must. But which are really worth your time? We took a look at the best news apps available on both iOS and Android and picked out our favourites. 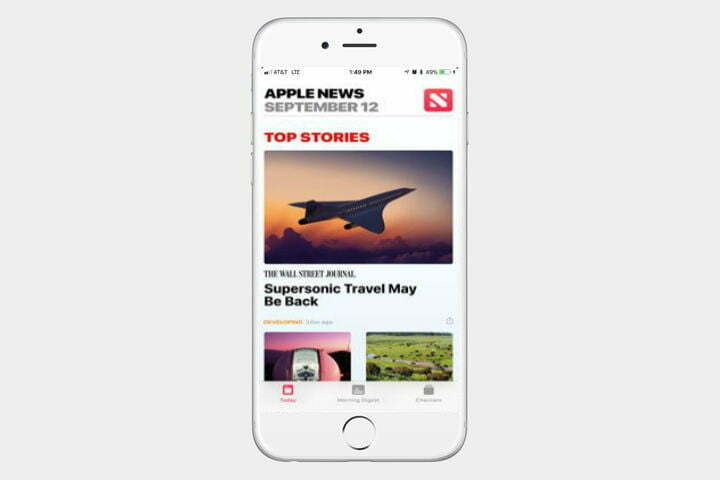 If you’re looking for a newsworthy companion app, find one that works well for you. 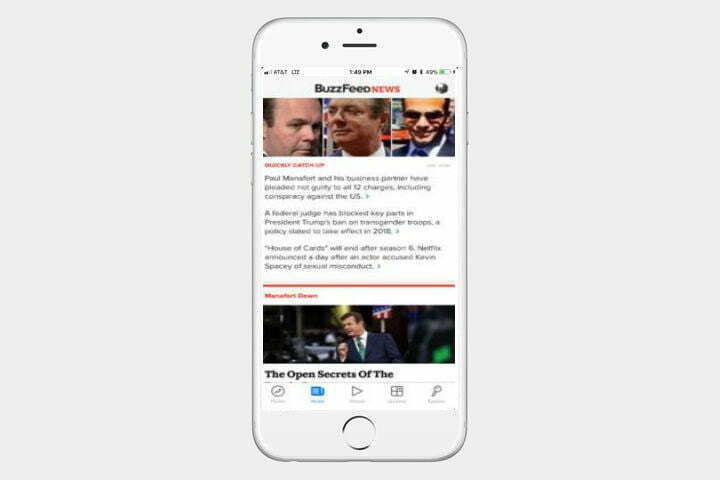 Even with a good news app, most are unlikely to have time to read all of those news stories at once, so make sure you check out our picks for the best read-it-later apps too. and National Geographic have partnered with the company to make their content readily available. 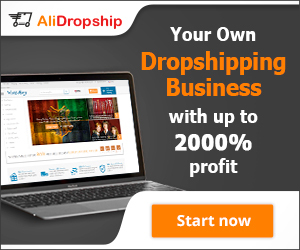 You can also follow trends or individual topics, ranging from politics to niche topics. Google News is the replacement for Google Play Newsstand, and it’s every bit as polished and smooth as you might expect. Google pulls news sources from all across the world, so you’ll probably be able to find your favourite sites and publications. The app can set up a daily briefing to give you the most important stories of the day, or you can tap Full Coverage to get everything without Google’s curation. You can also save a story or download specific publications to read later. With an inbuilt recommendation system, Google claims that Google News will get better and more in tune with your interests the more you use it. Formerly known as MSN News, Microsoft News offers a lightweight and easy-to-use way to quickly get the news you need. Upon opening it for the first time, it will ask you to select the topics you’re interested in, and you can change those topics quickly at any time. The main windows show news the app thinks is relevant to you, but you can scroll between topics at the top of the screen as well as switching to purely local news from near you. There’s a choice of light and dark themes, breaking news alerts, and you can sign in to sync your preferences across devices. 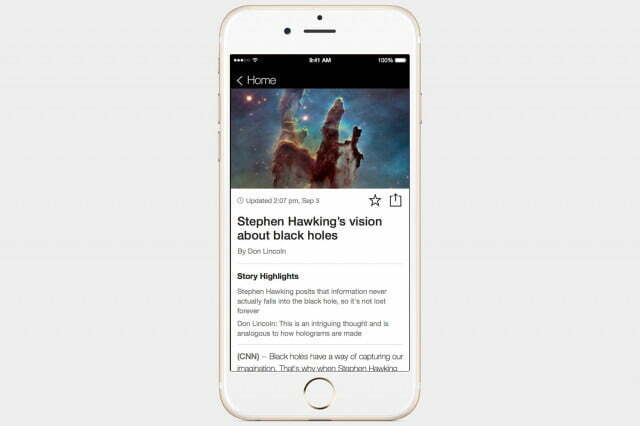 It’s a great lightweight news app that just works. 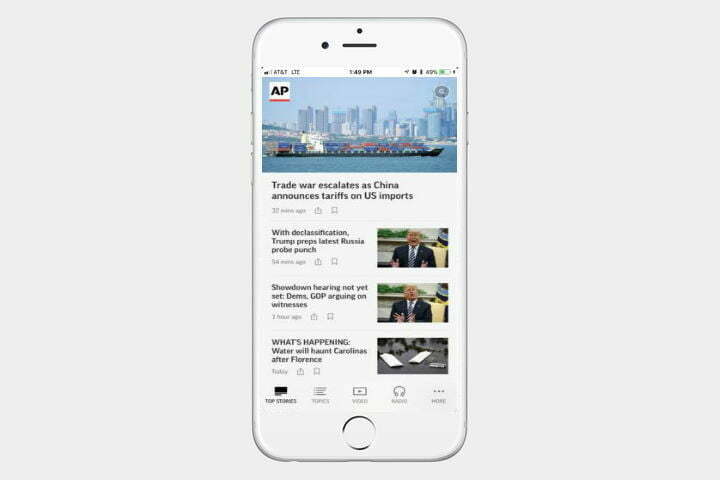 Associated Press covers news from all around the world, with a huge team of dedicated reporters that focus on all manners of topics and trends. The service’s companion app comes free of the usual glitz and glam that other news services offer, but for people who enjoy getting the facts and little else, it’s a useful resource. 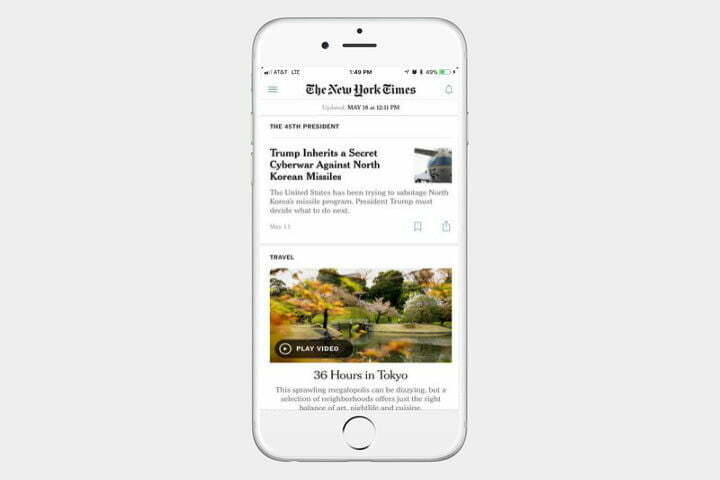 Easily one of the world’s most popular news sources, the New York Times’ app contains everything you expect from a news app — breaking news alerts, offline reading, and social media sharing — but it’s also got a few features you won’t find on other apps. There are audio and video options, but one of the most forward-thinking additions is augmented reality, allowing you to gaze into David Bowie’s wardrobe, or meet world-class Olympic athletes face-to-face. Unfortunately, getting full access isn’t free, and it’ll cost you $15 for basic unlimited access to all articles, or $130 for a full year. The BBC is a universally respected worldwide news organization dedicated to keeping you up to date on the latest topics and news stories. 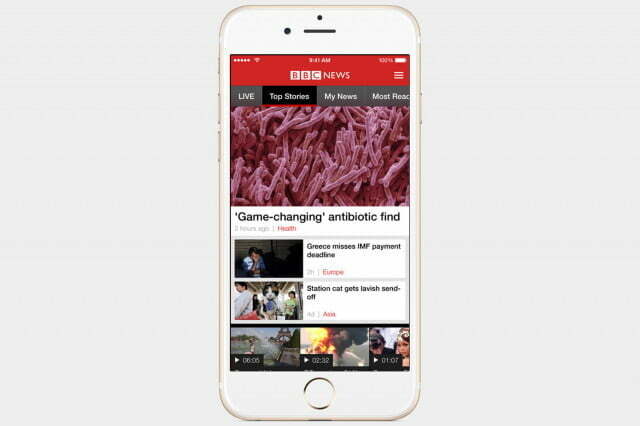 Unlike some other news sources, the BBC News app isn’t afraid to offer a bit more fun with its articles, and it also comes with a live-streaming news channel that’s baked directly into the app. If you opt-in, you’ll be alerted any time the app deems breaking news to be urgent enough to warrant your attention, making it a fantastic way to keep up-to-date. 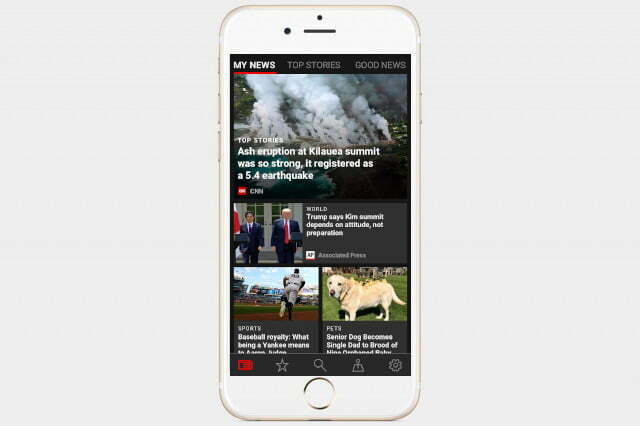 CNN was the first 24-hour cable news channel and its official app functions as a condensed version of the site. It offers a wide variety of articles, primarily with a focus on U.S. audiences, as well as a bunch of original CNN content that you can’t watch anywhere else. Video also plays a large part of the coverage on CNN, so fans of video news should find a lot to love here. News Republic gives you an array of stories from different news outlets all in one place. 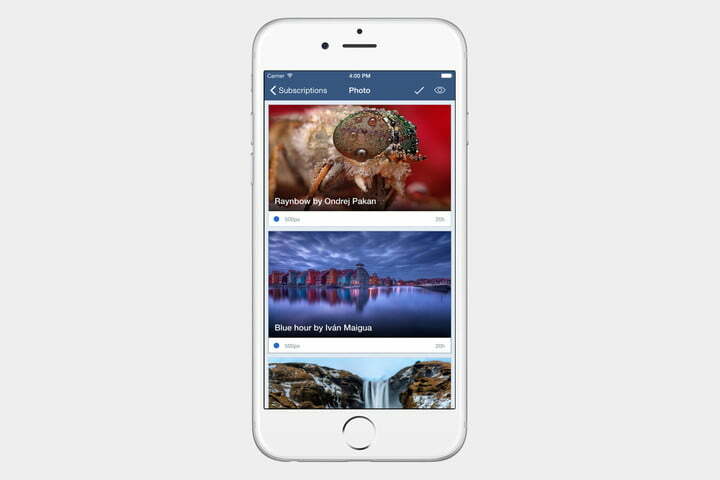 Personalize your app to show the stories that you are interested in or choose specific outlets that you want to see. 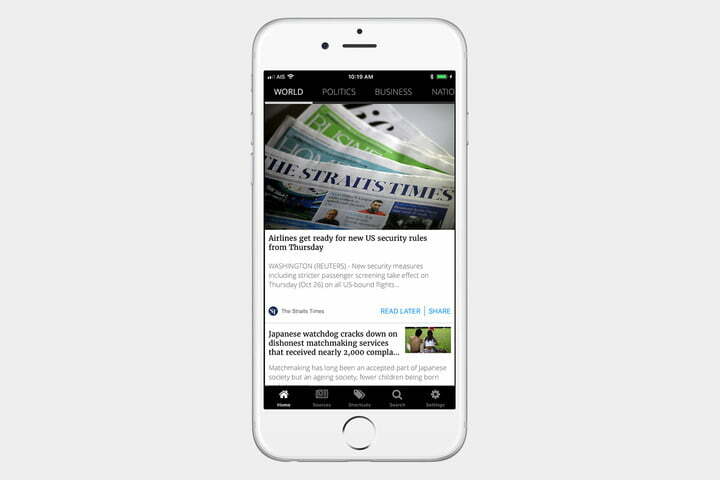 It features more than 10,000 news sources to pick and choose from and you can comment on and share the stories that interest you the most. 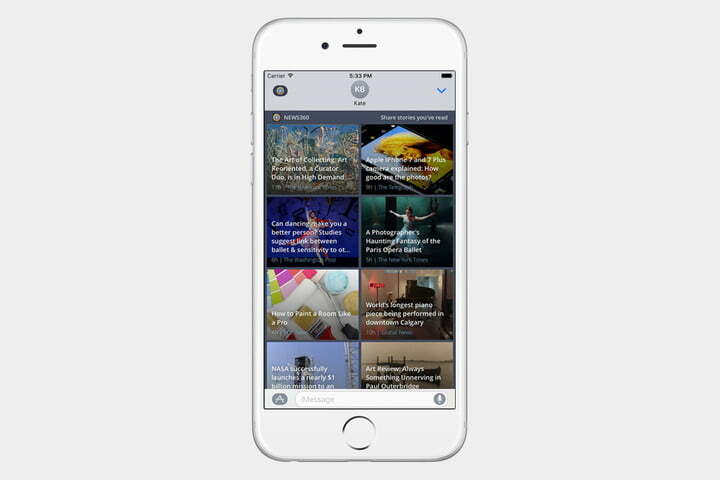 The easy-to-use interface lets you scroll through different stories quickly. BuzzFeed took the world by storm with its viral listicles and other fun content, then it went on to make waves with some seriously quality journalism. 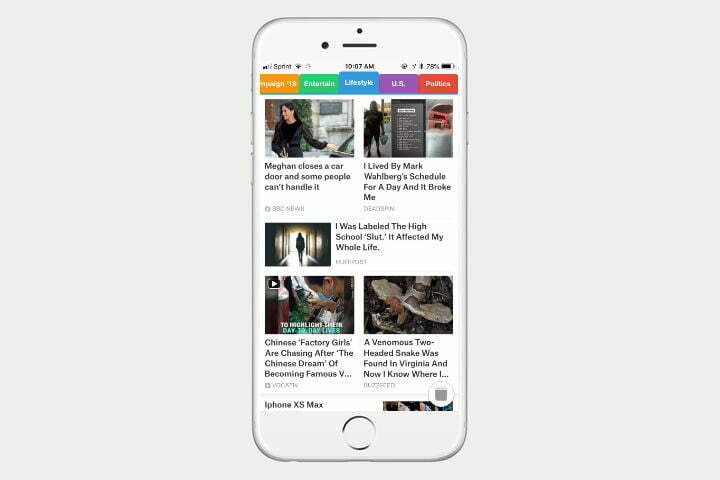 The app consolidates everything in one place and allows you to customize the types of articles you see to suit your tastes. You can browse the menu to view quizzes, see what’s trending, or browse the news if you want to further hone your search. If you’re not into the more whimsical content it offers, then BuzzFeed also has a specific news app. The name is a little grandiose, but SmartNews has the brawn to back it up. 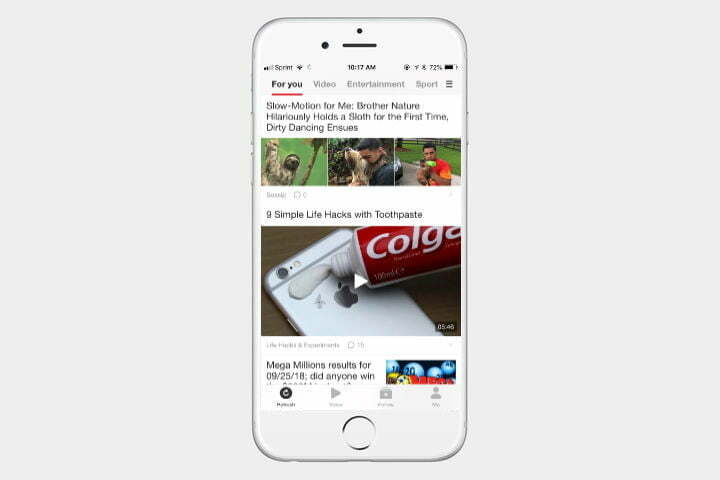 The app analyzes trending stories and categorizes them, ensuring that you’re always able to look at the news you want. It aims to give you the news in one minute, and it does that well, with a clutter-free and easy to browse interface and an algorithm that’s good at digging up fresh content you’ll actually want to read. The death of Google Reader was a tragedy for a lot of avid users, but it was a blessing for Feedly. The news aggregator noticed a huge wave of new users within weeks of Google Reader’s shutdown and has since improved its mobile service to make it easier to save, read, and bookmark articles. You can select multiple publications from Feedly’s search board, sort them into topics, and save articles for later viewing with bookmarks. 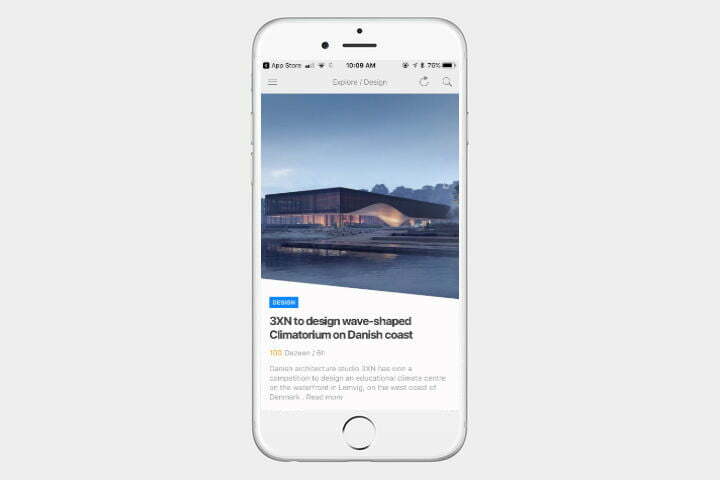 Flipboard created a new type of reading experience on mobile and is focused on engaging the reader with the most exciting stories of the day using a magazine-style aesthetic that begs you to just keep flipping. 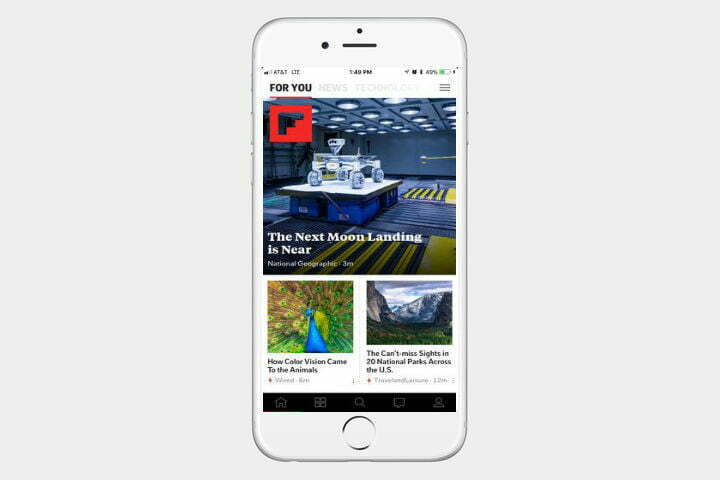 Hundreds of publications are available on the newsreader, and Flipboard offers a generous number of topics. So, whether you’re broadly into technology, or want to know the latest Star Wars news, Flipboard has you covered. It might not be the most usual way to keep up with news, but it’s rare that a major global event goes unnoticed on Reddit. 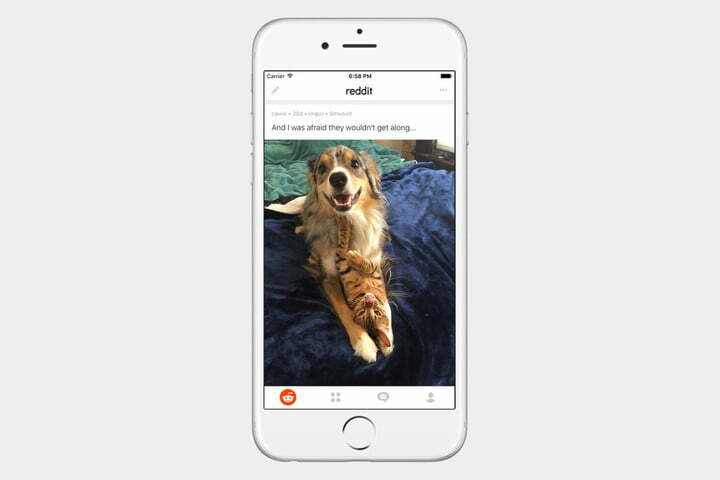 Reddit finally launched an official app in 2016, and it quickly became one of the best ways to experience Reddit on Android and iOS. Reddit is a great way to keep up with the latest news through various Subreddits— Android news is submitted to , for instance —/r/Android and users upvote popular content and comment on it. AOL is still kicking, even if it is now a small segment in Verizon’s media empire. Thankfully, since the acquisition, there have been regular updates to its Mail, Weather, and News app. 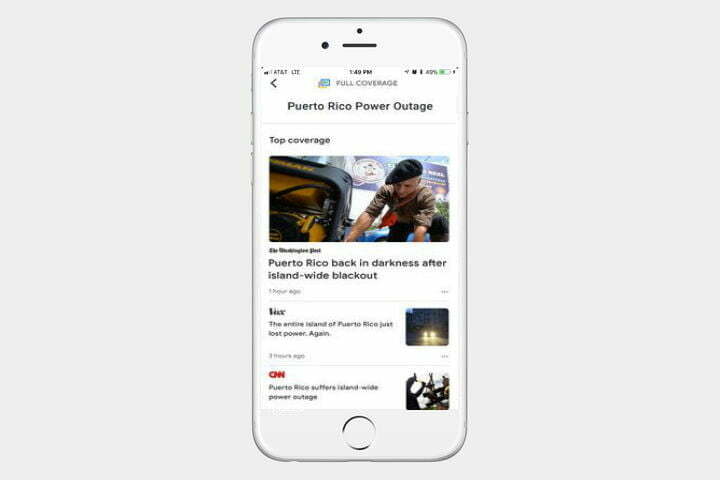 The app offers a dedicated newsfeed with local weather, topical news, and video sections — and you can check your emails while you’re at it. Inkl is on a mission to rid you of clickbait articles and aims to curate and bring you a stream of news that is trustworthy. You can filter newsrooms that are most important to you so that your feed is always bringing you the articles you want to read, from the writers you care about. It’s fast and it has a very modern layout that is easy to use and — best of all — it’s completely ad-free. Al Jazeera was the first 24-hour news channel to cover the Middle East, and has become one of the most popular and established publications in the region. It has since grown and developed, reporting on news from around the globe. 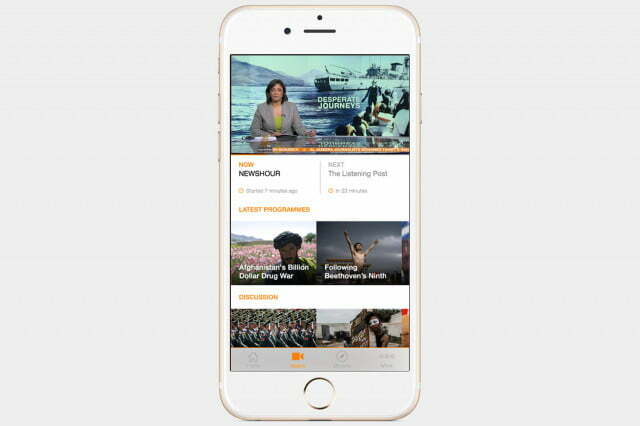 The app has access to 24-hour news coverage, video clips of the biggest stories, and reams of news stories, features pieces, and opinions from around the world. 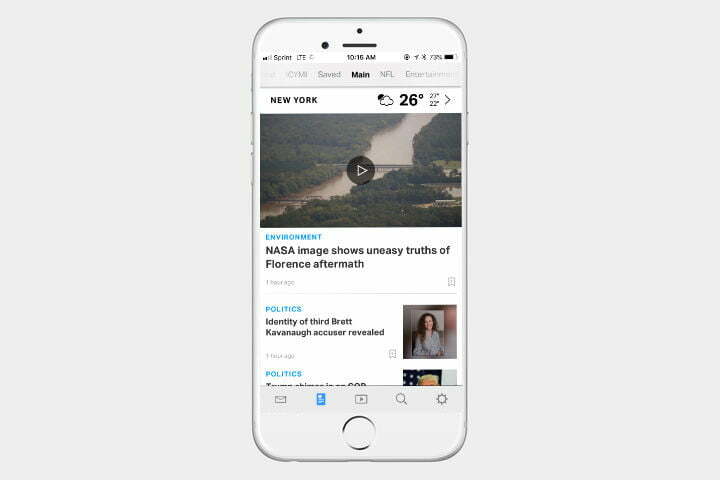 Inoreader is another news aggregator that brings news from around the world straight to you. Choose from 28 sections, and you’ll be served news that’ll interest you. It allows you to save web pages for later viewing and search for content you’ve liked in the past. Best of all, it will remember which articles you’ve read and served you only content you haven’t yet seen. Since it’s an RSS reader, you can even subscribe to your favourite YouTube channels. It’s compatible with Android or iOS, and there’s a version designed especially for iPads. 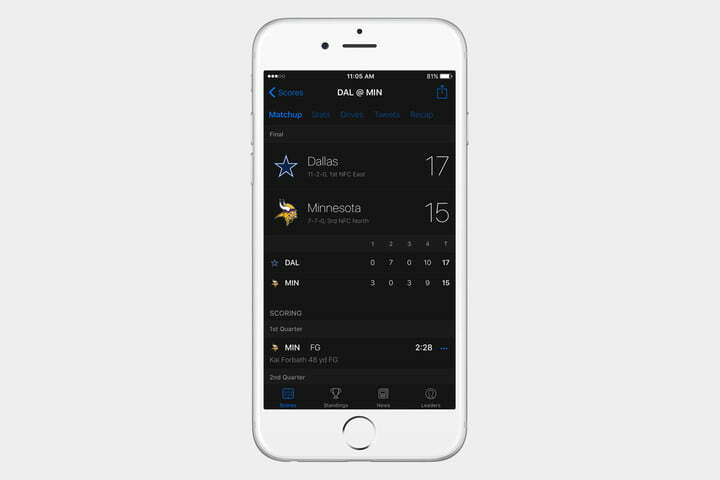 If you’re into sports — whether it’s the NFL, NBA, or Premier League Soccer — it’s in this app. It offers a huge amount of information, including detailed stats that you won’t find on many similar apps. It offers real-time scores alongside comprehensive information about your teams and players, all crammed into a good-looking interface. If you’re looking for an app that specializes in sports, then you’ve found your choice. If you’re an iOS user, there’s an Apple Watch app too. 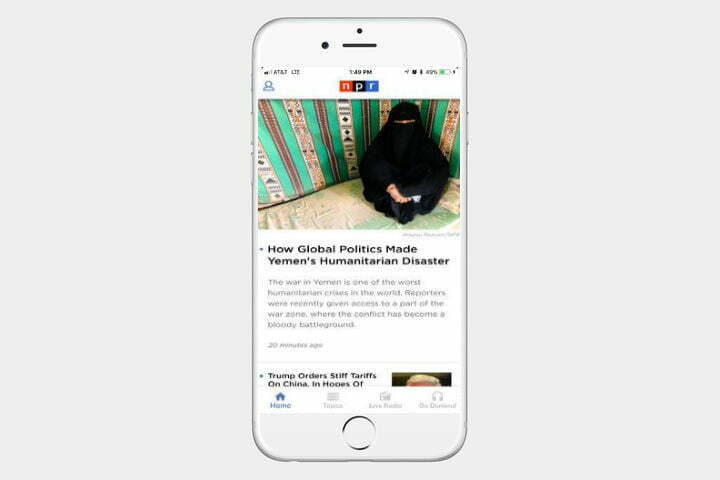 If you’d rather listen to your news, then the NPR News Radio app is a consistently good performer. Follow and listen to local and national news on your smartphone, then create a playlist of your favourites — or just listen to the public radio podcasts. The app also finds local stations using your smartphone’s GPS, so you can even keep abreast of news close to home. Evernote integration. It also allows you to save stories, so you can read them later. Welcome to my world! Here in my wonderland, you will find the adventures of an African woman, Nigerian sharing her exploits, treasures, trendy finds to make to make life more stunning and charming. When I'm not blogging, I spend my time having adventures and being generally creative. I'm all about having new experiences as often as possible! © 2019 Mobile Apps Show - All Rights Reserved.